These are the standard sized packs with one sketch OR autograph OR memorabilia card PLUS one promo card. Both the "hit" and the promo are standard sized trading cards. 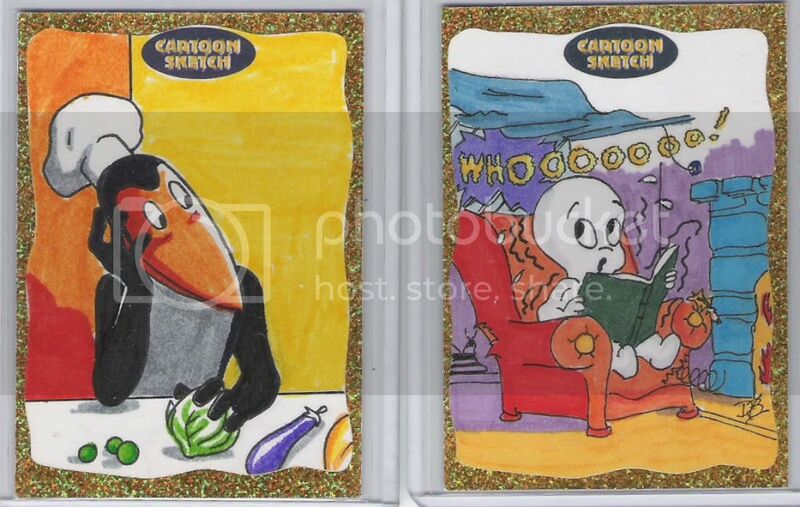 NOTE: Please see the similarly titled "5X7" thread for the larger packs which came with a large sketch card and one oversized promo. Price at the show for these standard sized packs direct from Breygent was $24 per pack or 5 packs for $100. The packets are varying thickness depending upon the special card inside, so they were wisely kept under glass away from nimble fingers. This card is amazing, thanks for it Tina (the "F." must stand for Fantastic!). 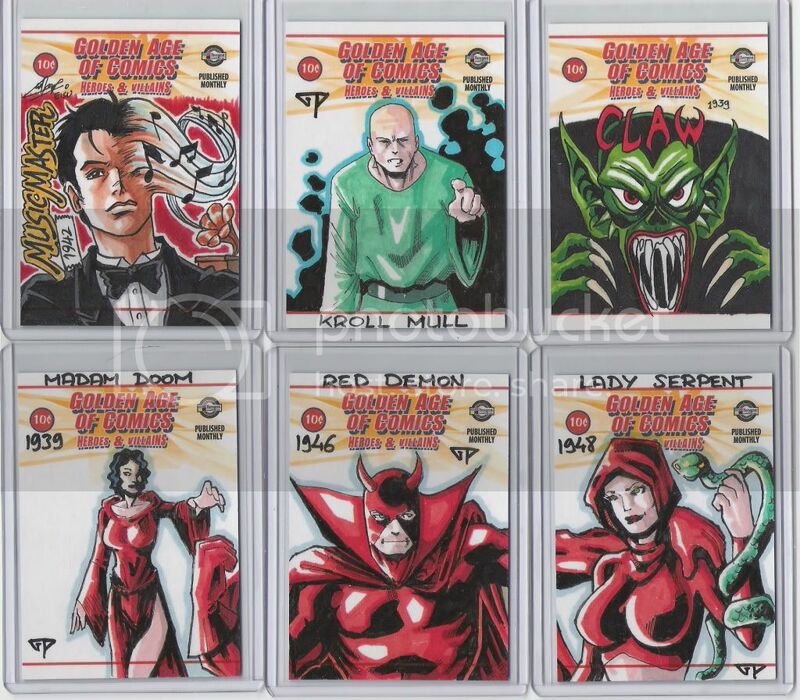 As I mentioned, each pack also had a promo card, and in my case, all promos were from the same set the costume/sketch card in that pack was from. As for the cards themselves, I found every single one to be well worth the $20 each cost. The metallogloss memorabilia cards are impessive to say the least with a silver metal band around their borders and polished stone-type fronts and backs, yet another fine innovation from Breygent. All 6 of my costume/prop cards are in this new style, except for the Dexter camera strap which is done in the regular, albeit extremely thick, prop card style of past releases. All sketches except for the golden age sketch (TNT TODD) have a striking glittery-gold enhancement on them that looks much nicer in person. I have 20 more packs ordered, and will post as soon as I have them. Lots of fun, and good value for the money. 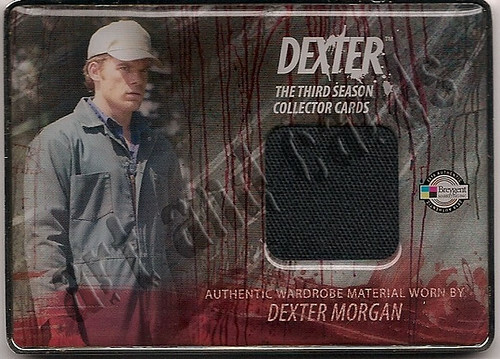 I have 10 packs of these coming and I am really hoping for a Dexter autograph. The dual Hewitt/Duff would obviously be great also. 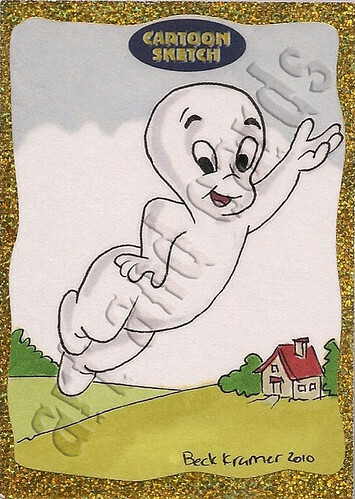 I really don't collect the sketch or costume cards as much so hopefully I will get at least 1 autograph in the lot (please don't be from Paranormal Activity). I will post my breaks once I get them in. Good Luck, Bacall1. The autographs are definitely scarce in these, but I saw them all in person at Comic Con, and they are all fantastic. I hope you get the one(s!) you want. Thanks chesspieceface. I really hope so also. 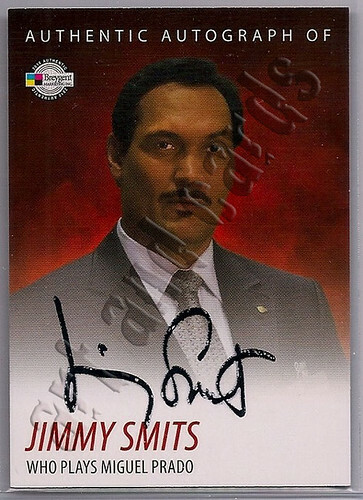 All of the cards look great, so I am sure I wont be disappointed in anything I get, but an autograph from dexter would certainly be icing on the cake. I'll post results later this week after I receive them and hopefully will have an autograph to post about. Just so you know, the Camera strap dexter prop and the crime scene number are both more rare than any of the metalogloss cards. I won't say how many packs I opened, but it was a very large amount and with the exception of the Paranormal director autograph card, there isn't a SINGLE card that isn't worth the price point. This was one heck of a comic con exclusive set. Breygent never disappoints! If you would like to view my want/have lists,then go to my trading site at the following. "it traps,it kills,it eats....that's what a good spider does"
Sketches by Guillaume Prevost and Brian Kong. I'm glad to have pulled a couple of autos. I'd prefer to have snagged a Dexter or GW one, but I'm quite content. I hope I get 10 more packs of this stuff. Quite fun. Here some more from me (20 packs). Nice pulls chesspieceface! That would be my ideal break. Ordered a pack from Ed which arrived this morning. I pulled a Metalgloss Ghost Whisperer costume card: Melinda's work uniform (All black swatch). I was hoping to pull a Dexter card but I can't complain about pulling such cool looking card from only one pack. "No time like the present to change the future"
Shiny! Faerie Metal & Photography - Specializing in Custom Metal Printing! very, very pleased with all of these. so much so, i went in for a few more, arriving soon.